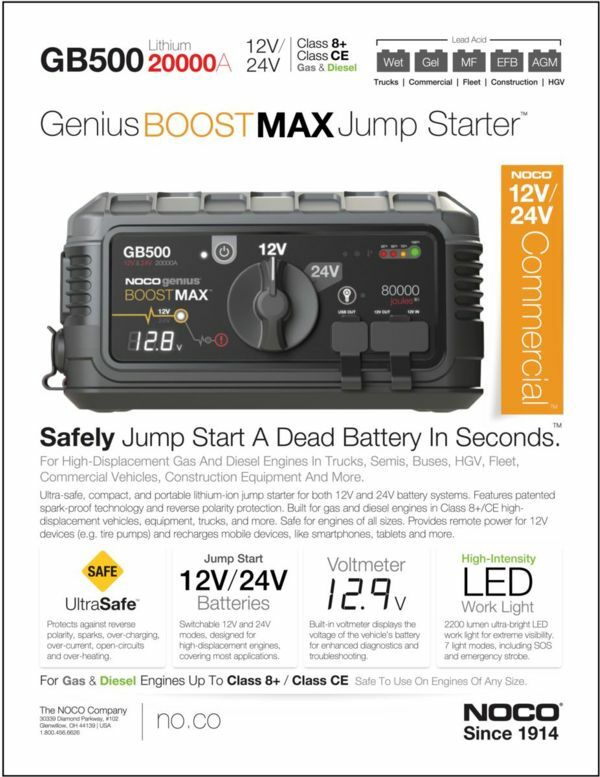 Safely jump-start a dead battery in seconds with the NOCO GB500 geniusBOOST MAX 20,000A, dual 12V and 24V, Lithium Jump Starter. 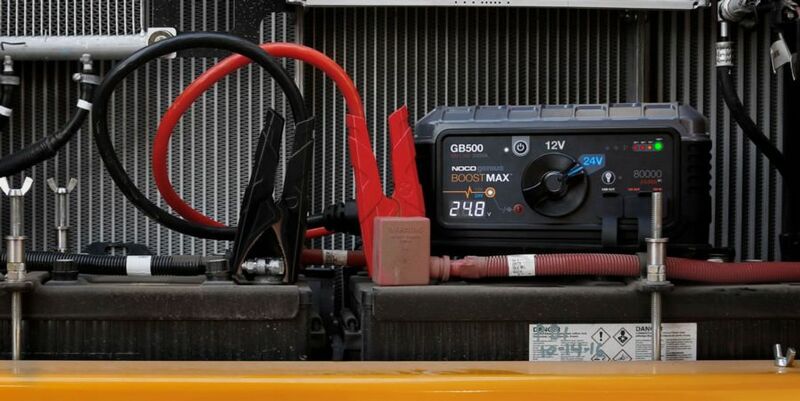 This dual 12V and 24V lithium booster pack is designed for jump starting gas and diesel engines in Class 8+/CE high-displacement vehicles and equipment, including: trucks, semis, buses, HGV, fleet vehicles, construction equipment, commercial vehicles and more. 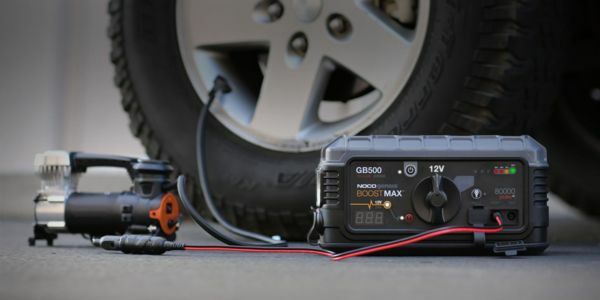 The Boost Max is 400% smaller and lighter than its closest lead-acid equivalent. 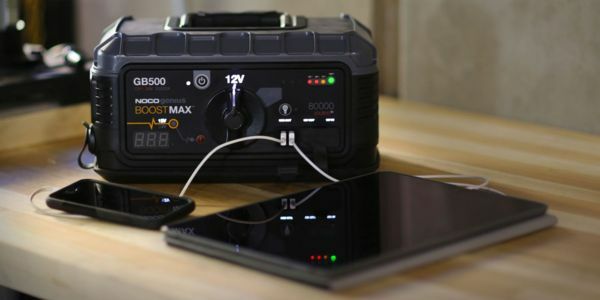 It also has the ability to power 12-volt devices like tire inflators and power inverters, as well as recharge USB devices such as smartphones, tablets, GoPros, and bluetooth speakers. Light modes: Cold & Hot LED indicators, flashlight, emergency strobe and more! Charge smartphones, tablets, GPS and more. Compact design – 8X lighter, 16X smaller, and 30% more powerful than its lead acid "equivalent.". Rechargeable – AC power or 12V car adapter. 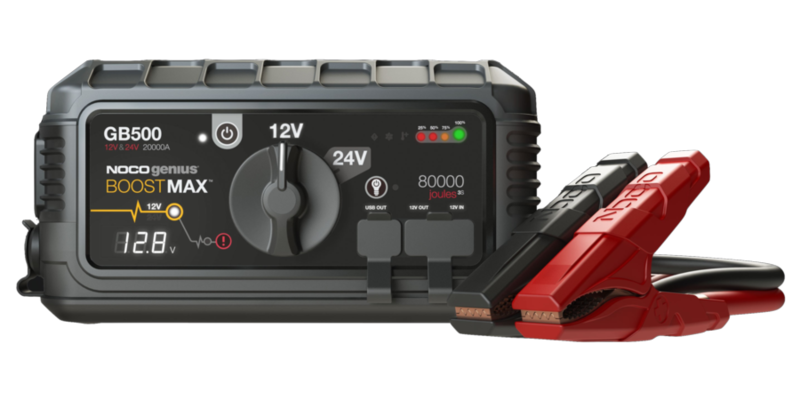 Includes: GB500 Lithium Battery Jump Starter, 24-inch 2/0 AWG Connectors, 56-watt XGC Power Adapter, 12V Female Plug, 12V Male Plug, 12V 2-foot XGC Cable, Protective Carrying Case, User Guide & Warranty. For additional information regarding pricing, availability, and shipping/delivery contact our Sales Team, today!